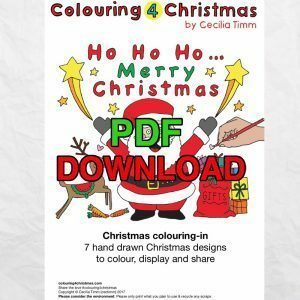 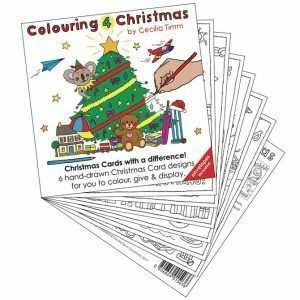 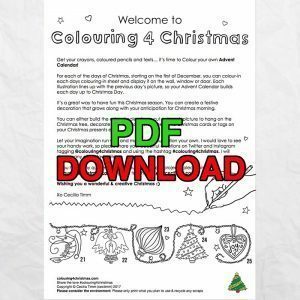 This packet contains 25 hand-drawn original Christmas colouring-in sheets designed by Cecilia Timm, a Sydney based Artist & Illustrator. 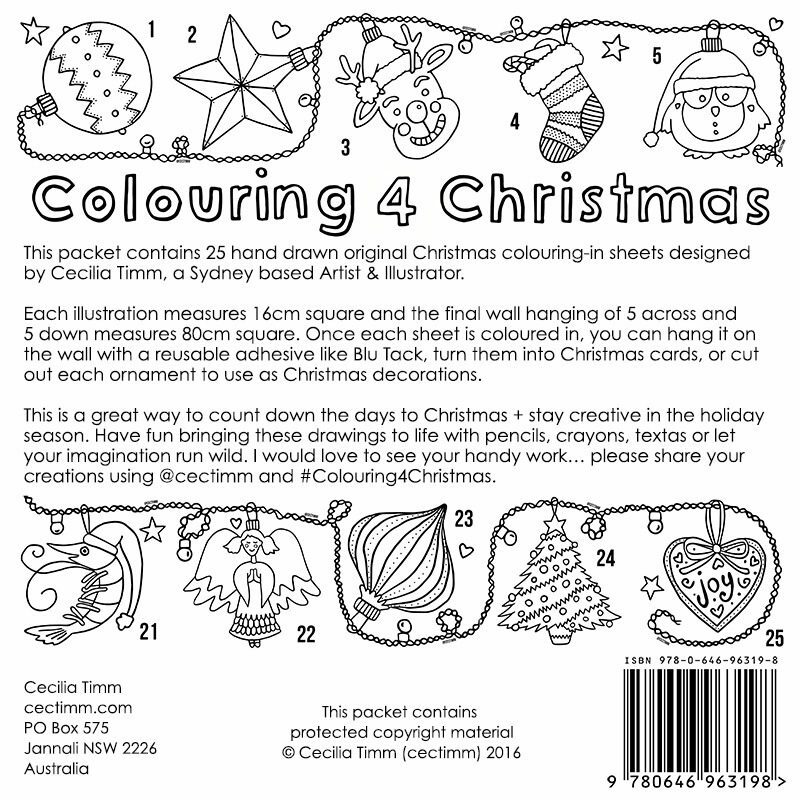 Each illustration measures 16cm square and the final wall hanging of 5 across and 5 down measures 80cm square. 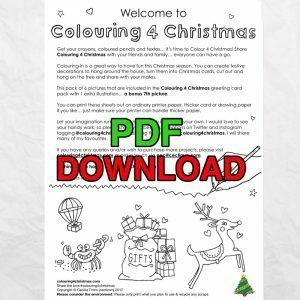 Once each sheet is coloured in, you can hang it on the wall with a reusable adhesive like Blu Tack, turn them into Christmas cards, or cut out each ornament to use as Christmas decorations. 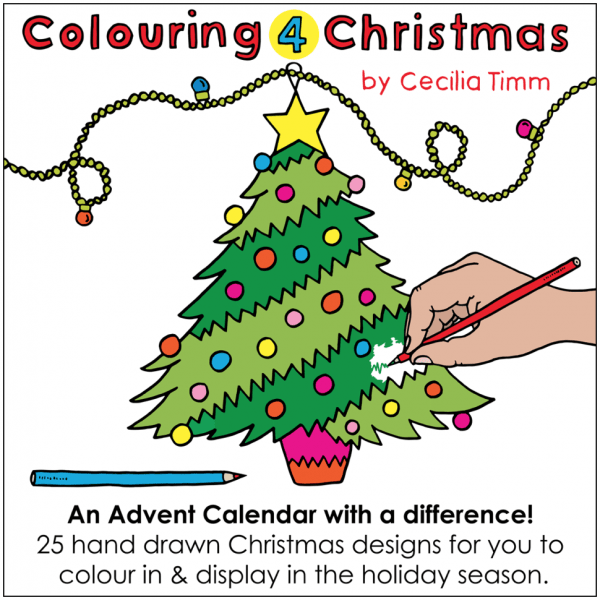 This is a great way to count down the days to Christmas + stay creative in the holiday season. 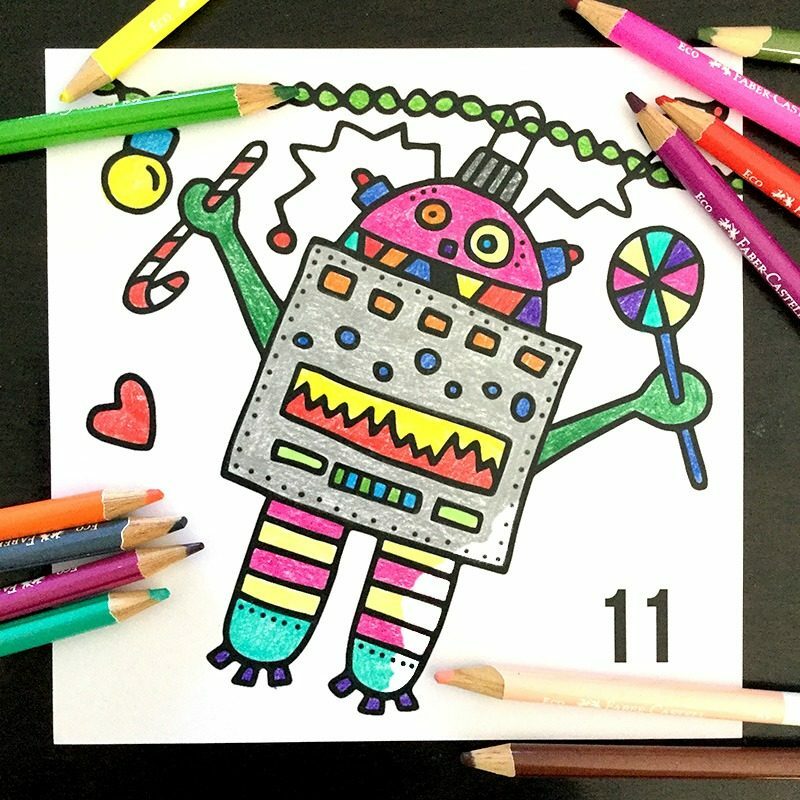 Have fun bringing these drawings to life with pencils, crayons, textas or let your imagination run wild. 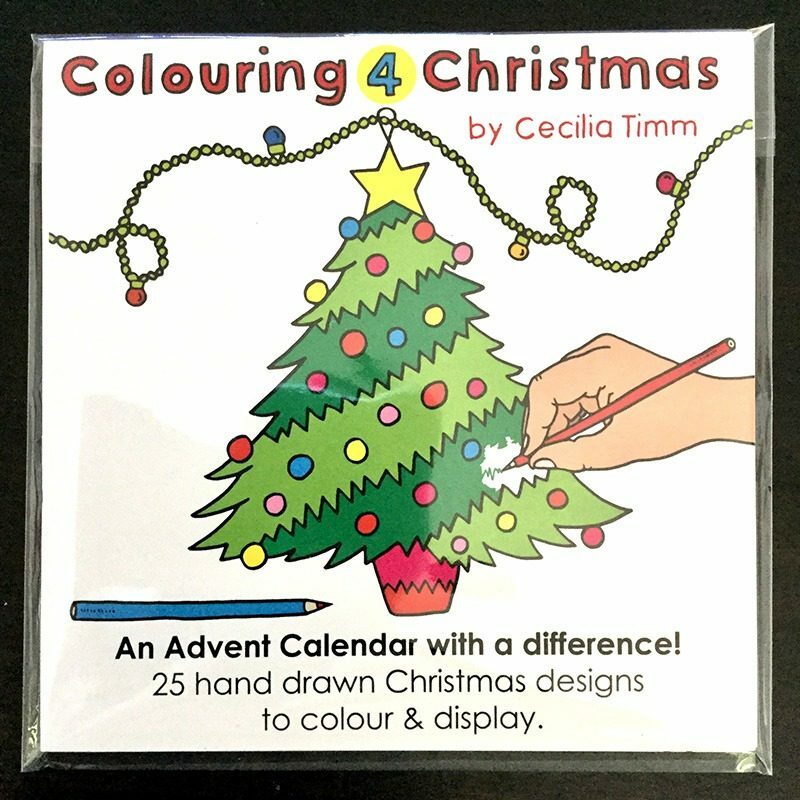 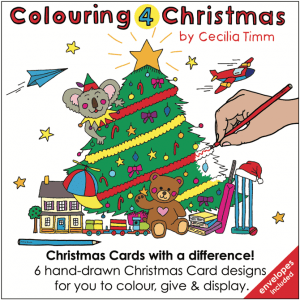 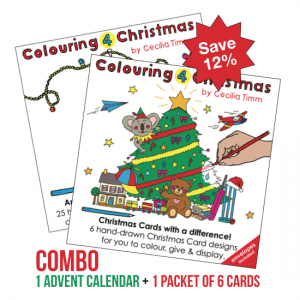 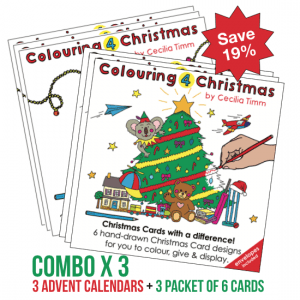 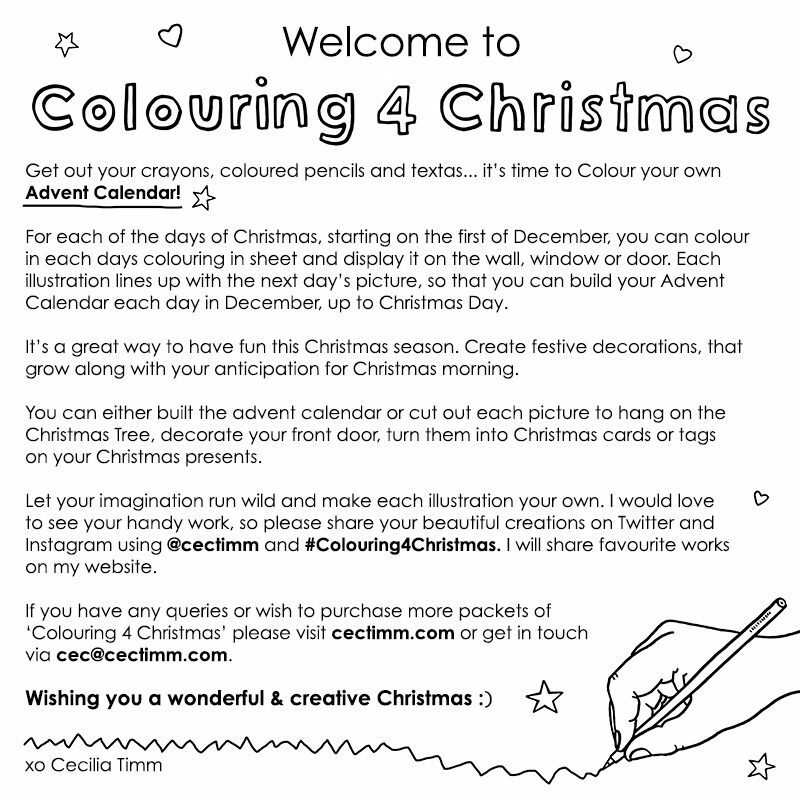 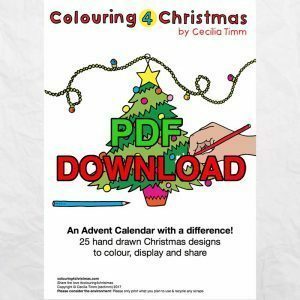 I would love to see your handy work… please share your creations using @cectimm and #Colouring4Christmas.